It's more like "Schneider as Art Major", I think. Still, I see what you mean. It's a short step from markers to wrenches and spanners, right? 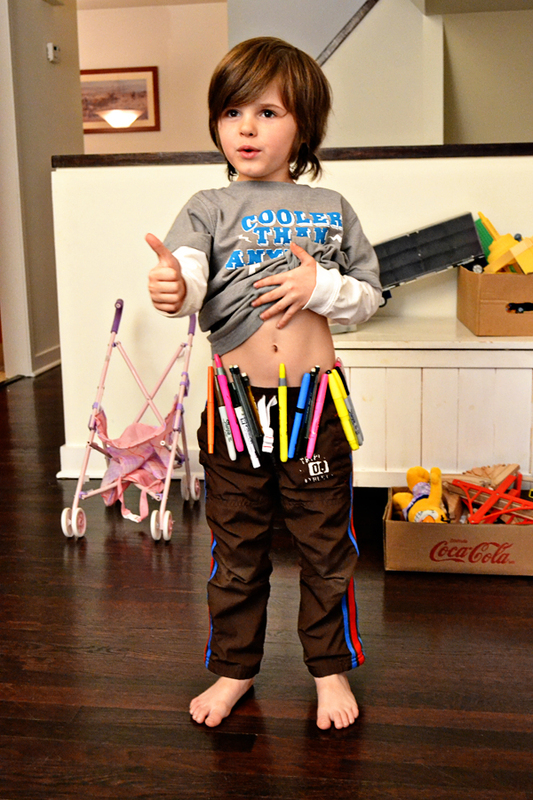 I want to go through life with all I need in my herobelt of markers. DUDE. He is SO adorable!